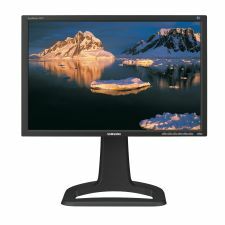 Sandesh M. has reviewed this 24" widescreen monitor from Samsung, the SyncMaster 244T. After using the SyncMaster 244T for a month, I really had second thoughts about my decision to get two monitors. Sure, being able to drag windows from one monitor to the other is very cool, and if you have the horsepower, you can run 2 full screen applications. But the features offered from this monitor are just too good to pass up. As I have said numerous times in this article, any serious graphic artists will want to take a look at this monitor, the brightness, contrast, and customizability of the colour balance make it an incredible tool for that use.